We offer a wide assortment of traditional photographic products. 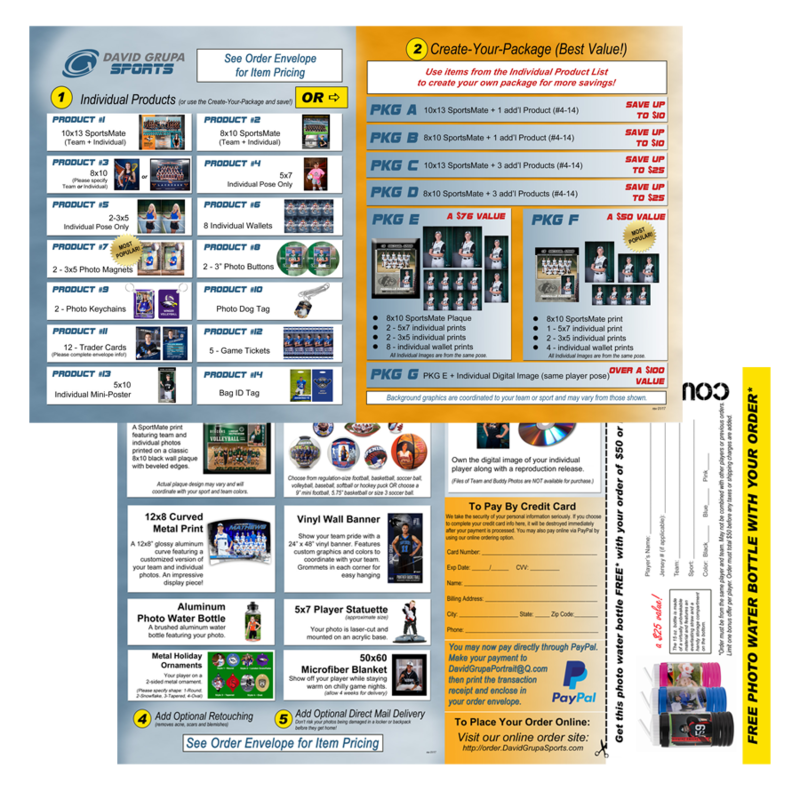 SportMates, plaques, magnets, buttons and printed photographs in traditional sizes are all a part of our lineup! See them here. Use the order envelopes which we will provide, or pre-order online so you don’t worry about lost or forgotten forms! Enclose cash or personal check in your player’s order envelope, or use PayPal or a credit card. We are happy to answer any questions you may have about our services and products. Simply click the email button and we’ll get back to you with a reply ASAP! Or pick up the phone and give us a call – 651.748.8779.